PM Netanyahu to the Start-Upists: "Take care of the new products and we will take care of the markets"
PM Benjamin Netanyahu, Head of the National Cyber Service Yigal Ona, Chief of Staff and Acting Director General of the Prime Minister's Office Yoav Horowitz and Chairman of the National Economic Council Avi Simhon, held a meeting today with about 20 representatives of Israeli cyber start-ups. The meeting was held as part of the 2019 Cybertech event in Tel Aviv. 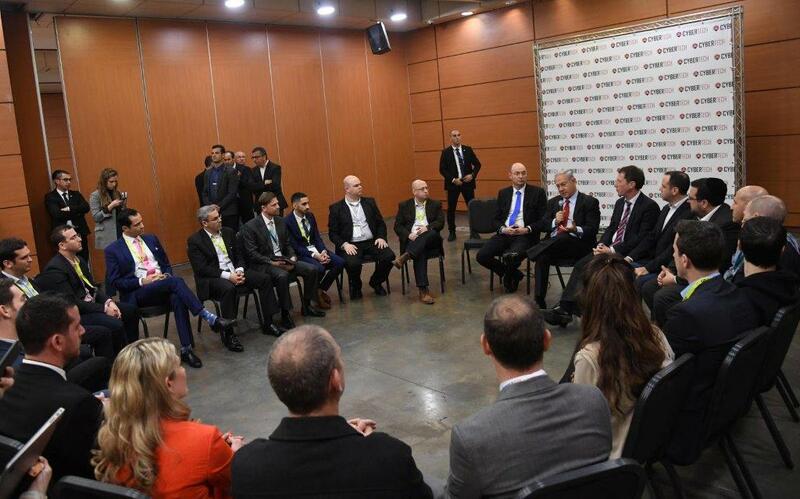 PM Netanyahu spoke with representatives of the companies and heard from them about the various technological developments, the challenges, and opportunities in the cyber arena. He discussed with the representatives the cyber challenges in Israel in the coming years and the ways in which the State can assist companies. ‏CyberTech 2019, the largest cyber technology summit in Israel and the largest Cyber summit outside of the U.S., which is held today and tomorrow the Tel-Aviv Expo Center, with hundreds of participating companies from Israel and abroad, in buildings 1 and 2 at the Expo Center. Thousands of visitors from around the world will arrive in Israel for the event, that constitutes a unique meeting point for decision-makers, government officials, industry executives, entrepreneurs, major Venture Capital funds, investors, and advanced research centers. The event focuses on the broad aspects of the cyber revolution and how it affects our daily lives - Health, Career, Transportation, Economy, Judicial, and Consumers etc. Alongside the popular cyber-attack topic, Cloud technology, Artificial Intelligence and Quantum Computers, will be exhibited at the convention. The unique topics that are covered at the summit are: cyber in medicine, cyber and aviation (with dozens of airports and airlines participating), cyber and the elections and more. Nati Cohen, director general, Ministry of Communications, will lead a round table about preparation for the era of IOT. In addition, one hundred start-ups will take part in the convention next to many companies from Israel and abroad. ‏A convention takes place along with the summit, where hundreds of experienced companies and start-ups will showcase their innovations. Amongst the exhibitors: The Mossad, 8200 Unit, Israel Police Lahav 433 Unit, The Innovation Authority, Check Point, CyberArk, IBM, RSA, Microsoft, Dell-EMC, Deloitte, Cybereason, Symantec, OPSWAT, FireEye, Intuit, Cyber Beat, Rafael, Aviation Industry, KPMG, PWC, SOMPO and hundreds more. 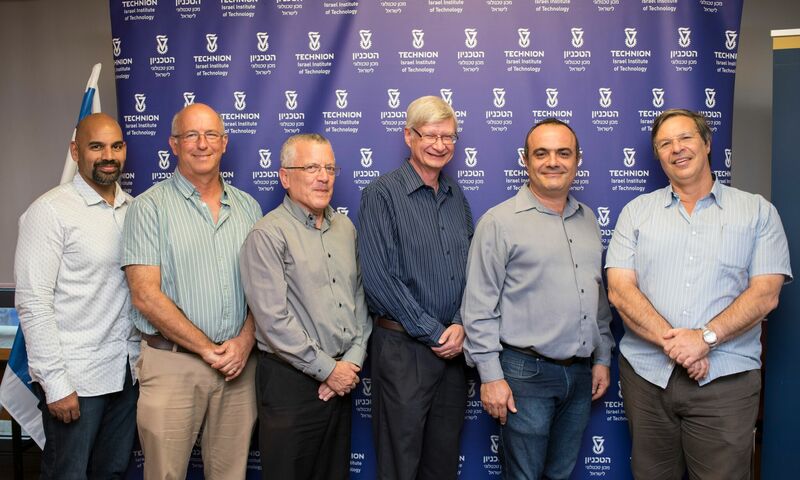 The Technion - Israel Institute of Technology and Intel Corporation inaugurated a new Center for Artificial Intelligence (AI) yesterday, Monday, October 8th. The Center is chartered with advancing research in AI fields and collaboration between Technion and Intel researchers. Intel’s Dr. Michael Mayberry, chief technology officer, and Naveen Rao, corporate vice president, and general manager of the Artificial Intelligence Products Group, represented Intel at the inauguration of the new AI Center. Prof. Boaz Golany, vice president for External Relations and Resource Development, Prof. Wayne Kaplan, executive vice president for Research, Prof. Nahum Shimkin, dean of the Andrew and Erna Viterbi Faculty of Electrical Engineering, Prof. Dan Geiger, dean of the Computer Science Department and Prof. Carmel Domshlak, Dean of the William Davidson Faculty of Industrial Engineering and Management, represented the Technion. “Intel is a leader in this field and the research center will help further advance AI innovation. I have no doubt that we will achieve breakthroughs that will lead to significant developments in the coming years. Intel has always maintained a close cooperation with Israeli academia, which has included many contributions, support of teaching programs, scholarships for outstanding students, joint research and more,” he said. Intel and The Technion have maintained close ties for many years. In 2009, Intel awarded The Technion the "Intel Award" in recognition of the university, whose graduates were the founding nucleus of the company's branch which was established in Haifa in 1974. To date, Intel supports some Technion's labs and funds many scholarships for students at the Technion, including specifically supporting outstanding students in electrical engineering and computer science. 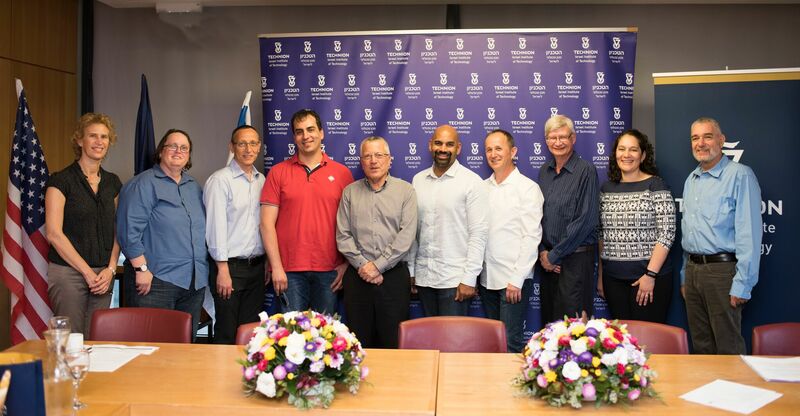 Technion - Israel Institute of Technology won a NIS 10 million grant for the advancement of entrepreneurship and innovation as part of a "New Campus Vision" competition of the Council for Higher Education. Israeli Education Minister Naftali Bennett and Chair of the CHE's Planning and Budgeting Committee Prof. Yaffa Zilbershats announced the winners. Technion alumni are largely responsible for the creation of the "Start-Up Nation." Within 20 years, since 1995, Technion alumni have established more than 1,600 companies that have generated more than $30 billion and created nearly 100,000 jobs. The university is also regarded worldwide as an incubator that fosters entrepreneurship and was recently ranked 39th in the world in the number of patents registered in the United States in 2017. Innovation and entrepreneurship are embedded in Technion's DNA and much of the research conducted by faculty members has led to applications benefitting Israel and the world. A recent example is Mazor Robotics, which started out in the robotics lab of Prof. Moshe Shoham of the Faculty of Mechanical Engineering at Technion and was recently sold to Medtronic for $1.6 billion. t-hub will turn Technion into a leading center for scientific-technological initiatives that will serve the university and its surrounding environment. The Center will train Israel's next technology leaders and strengthen its economy out of a national responsibility for promoting Israel through research, development, and technology. The Center will be headed by Prof. Eyal Zussman, the Center's academic director and Dr. Dana Sheffer. The Technion's Entrepreneurship and Innovation Center has many partners among Israel's leading industrial and hi-tech companies including Teva, Rafael, and Alpha Omega. The 25th annual BIO International Convention will be held from June 4th-7th in Boston. The conference, considered the world’s largest and most prestigious biotechnology conference, will host 16,000 professionals from more than 74 countries, showcasing the best and most promising new companies and developments in medical technology and life sciences. Nine leading Israeli biotech companies will be participating. “Israel will be represented at the conference by an impressive national pavilion which will include nine leading companies carefully selected by the Israel Innovation Authority, with support from the Israel Advanced Technology Industries (IATI). These companies represent Israeli innovation in various fields of the life sciences,” Cohen added. EIMindA, amongst the companies representing Israel, has won international recognition for revolutionizing the field of brain technology by leveraging machine learning and IoT for analyzing brain function patterns. 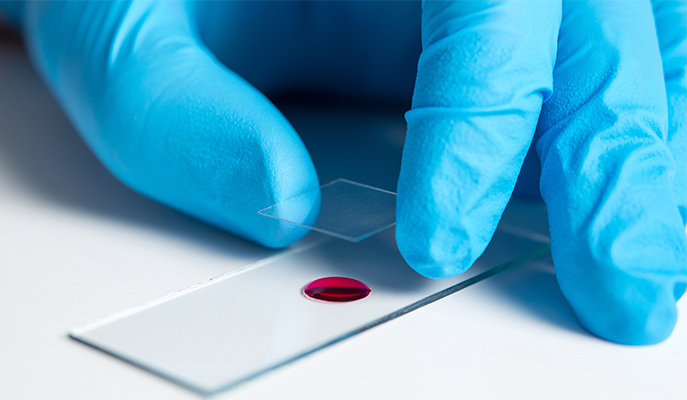 Other Israeli companies attending include BiomX, a company developing microbe-based technologies and medicines for treating acute chronic illnesses such as cancer and obesity, and; Taliaz, a company that has developed an artificial-intelligence based smart platform helping physicians match anti-depressants to their patients according to specific genetic and health characteristics.